A TEACHER being tried for a string of sexual assaults on a teenager has been accused of changing his story. Geoffrey Langer, of Farley Lane, Stonesfield, denies committing the offences in the early 1980s against a man now in his 40s. 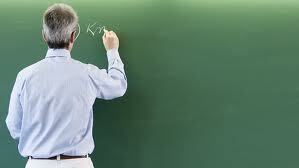 The 64-year-old was working as a science teacher at the Marlborough School, Woodstock, when he is alleged to have indecently assaulted the male victim. Gary Pons, prosecuting at Oxford Crown Court, told the jury that crucial information changed in his account between his police interview last year and giving evidence on Thursday. Summing up the prosecution case for the jury yesterday he said: “Why is it that you have two such different accounts in his interview with the police and what he has told you? Langer denies three counts of indecent assault of a male under the age of 16, and serious sexual offence with a person under the age of 16.